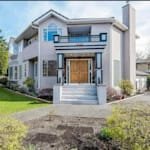 Vancouver’s housing market has been under some heavy pressure recently, with sales falling for the past six months and the average resale price taking a big dive in August. But the same trend doesn’t seem to be playing out in the rental market, where monthly rates hit a record high in October, according to a report from rental site PadMapper. Rental prices for two-bedroom units in the West Coast city have grown by 4.5 per cent to $2,800, while rents for one-bedroom homes jumped 2.9 per cent to $1,800, the report said. Contrast that with Toronto, where the median rental rate for a one-bedroom apartment jumped to $1,370 in October, for an increase of 4.6 per cent. Rents for two-bedroom units, meanwhile, grew 4.8 per cent in price, to $1,760. 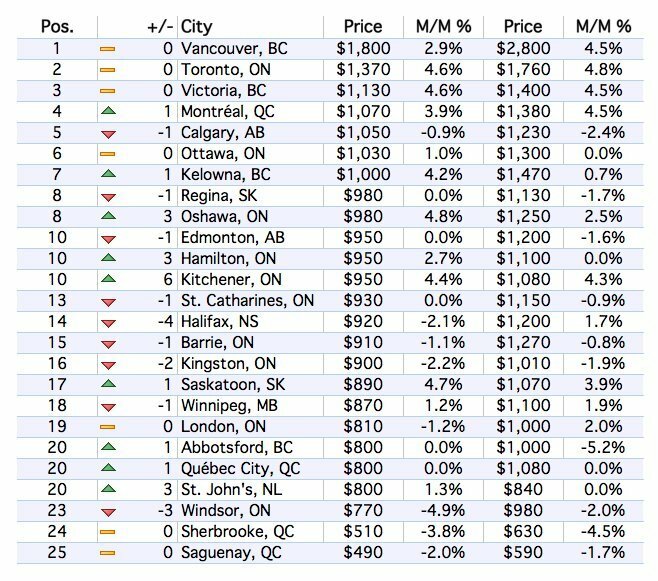 Rising rental prices were widespread in October, with 17 of the 25 cities surveyed by Padmapper showing rising prices. The largest price hikes were in Canada's most expensive cities — Toronto, Vancouver, Victoria and Montreal. Padmapper only recently started running monthly surveys of its “hundreds of thousands” of apartment listings, so it’s not possible to compare numbers from a year ago. 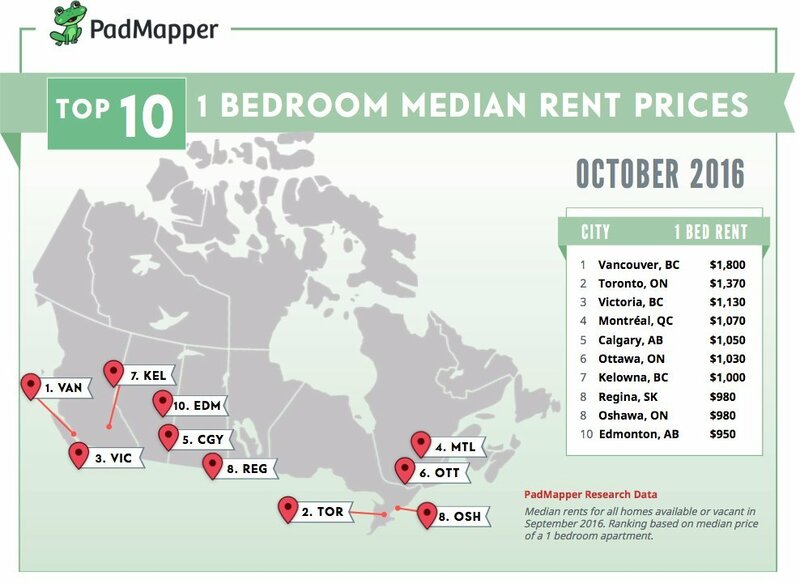 But the median one-bedroom rent in Vancouver is $100 higher now than it was in June. Rental rates headed even higher? What’s more, some market analysts say the rental market is in for more upward pressure in the coming months, thanks to a double whammy of new mortgage rules and declining home affordability. Vancouver recorded its worst-ever levels of home affordability this year, while in Toronto affordability is at a 25-year low. That is forcing some buyers to delay purchasing a home, keeping them in rental housing longer. At the same time, the new mortgage rules that Finance Minister Bill Morneau announced earlier this month could further raise rental rates. 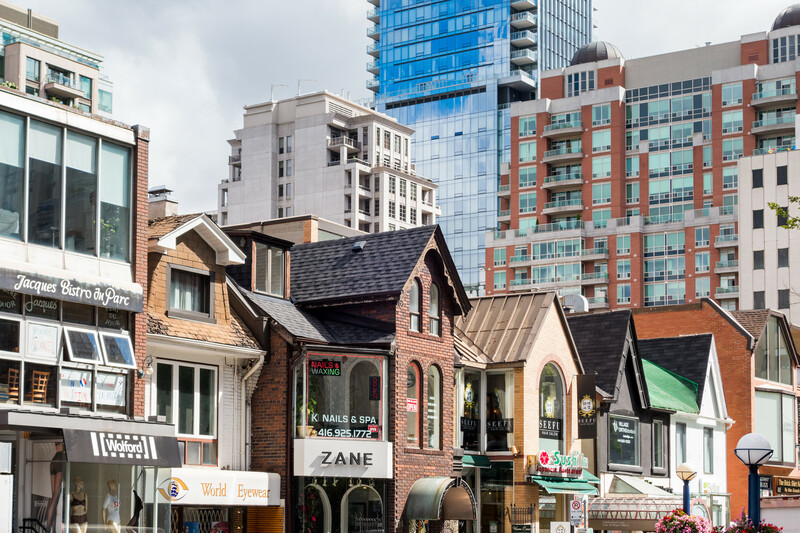 In a report issued Tuesday, Will Dunning, the chief economist for Mortgage Professionals Canada (MPC), predicted the new rules could spike rental costs. With homebuyers qualifying for smaller mortgages under the new rules, home sales are expected to come under pressure, which will result in developers building less. 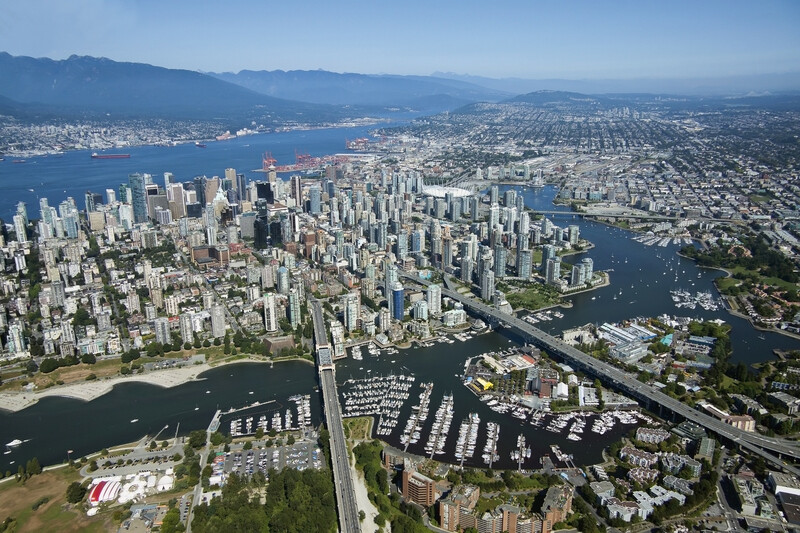 That could make the supply of housing even tighter than it is, especially in Toronto, where the rental vacancy rate is at a very low 1.6 per cent, and in Vancouver, where it’s at a rock-bottom level below one per cent. It’s possible that "fewer tenants will be able to move out of rentals and into home ownership," Dunning wrote in the report, which he released independently and not on behalf of MPC.